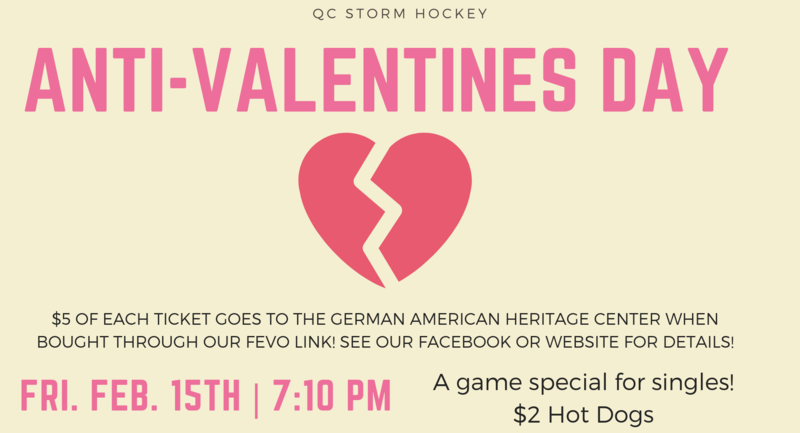 Another exciting game and opportunity to support the German American Heritage Center is coming up on February 15th @ 7:10PM! The QC Storm will take on the Macon Mayhem on the ice. This game is especially for you singles out there and has $2 Hotdogs!